Always liked the old Flyroc. But when I got a new pair I was not that impressed with the sole interaction on wet rock. Terroc are low cost right now and I am tempted to try a pair. I think your comment about the sole on wet rock applies to both the Terroc and Flyroc, Martin. Neither are as good as Merrill's Vibram soles in my experience, but I balance this against the lightweight comfort and quick drying Inov8's. As ever, there are compromises with gear selection. I've been a Terroc 330 man fr a few years now. Recently got a pair of Roclite 295s. 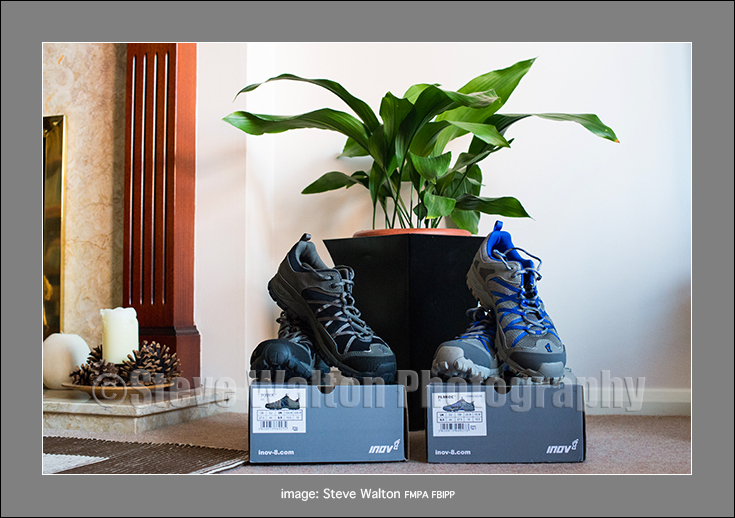 They have Inov-8's sticky rubber sole so will be interesting to see how they compare to Terrocs on wet rock! I just had to put my Terrocs in the bin as the fabric had a big hole in it where it bends just behind my little toe. Shame really because there was lots of life left in the soles. I've worn them nearly every Sunday morning for an hours run at Bradgate Park for around 2 years and never really looked after them. I would have had another pair, but I bought a pair of Salomon Crossmax 2s in Keswick over Xmas and found that I much prefer them for fit and grip. I've always fancied a pair of those Inovs with the studs in the soles though.